This coastal excursion is an exciting round trip in search of orcas, minke whales, grey whales, porpoises, harbour seals and other marine wildlife. 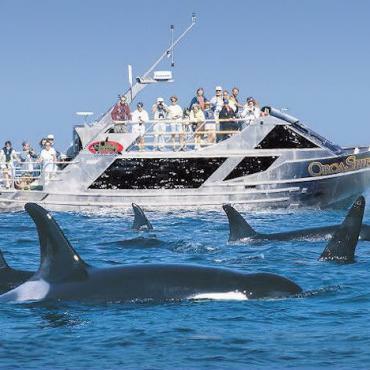 You will ride aboard the Orca Spirit, a 50 ft covered vessel which holds up to 45 passengers. You will be joined by a certified marine biologist and naturalist to explain all of the wildlife you will come across. 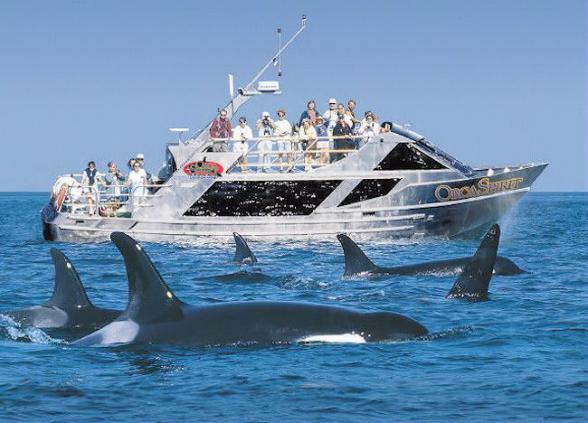 The covered Orca Spirit boat is for those who wish to sit back, relax and watch the beautiful marine life in Victoria.